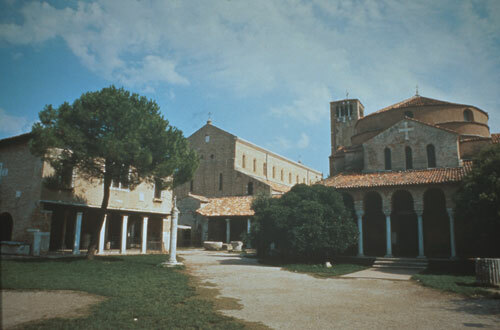 The Cathedral of Santa Maria Assunta is the lagoon's oldest building: founded in 639, it's a splendid example of the Veneto-Byzantine style. The portico and the ornamental motifs on the facade are of particular interest, as is the marble caldding and the splendid mosaics in the interior. Opening times: from March to October 10.30am-6pm, last entrance 30 minutes before closing time; from November to February 10am-5pm, daily, last entrance 30 minutes before closing time.